I had made it for my mom, but it had a mishap. The snap ended up unsnapping and said she preferred a magnetic snap for better stability. 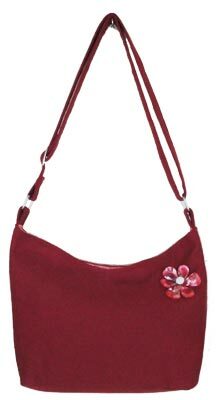 She also said that the shoulder length was fine, but mentioned in passing that a cross-body strap would be nice. I took back the bag, unpicked all my stitches, waited for my new sewing machine to arrive, and resewed the bag together. Then had to unstitch it all again because my alignment for the magnet snaps was a little off. So I restitched the bag again for the third time after a long internal debate. This time sewing very slowly to make sure that everything was in alignment. 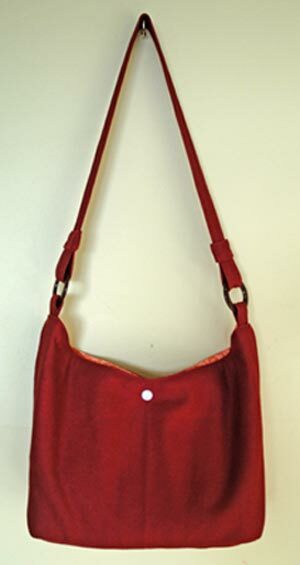 The final step was to make an adjustable shoulder strap that converts from over the shoulder to across the body. Lessons learned: 1) insert a magnet snap in the first place and 2) sew s-l-o-w-l-y.